Facebook has a new feature which introduces a live video streaming platform that started receiving a lot of hits couple of weeks back. The best among those features was the ability to “go live” from the desktop and laptops computers. The creator of the video will be able to stream from their web browser to their facebook page. You can also add live contributors to stream on your page. You can also highlight a comment by pin live comments. These features also make Facebook Live much more competitive with YouTube where daily users often record from their personal computers. There are few helpful and new features introduced by facebook recently. The six latest Facebook Live features and tools are mentioned below. Facebook pages have now got this new ability to go live through the web browser on the laptop or desktop computers. Facebook claims that this feature makes it easier for the daily vloggers and various other broadcasters to upload their videos. 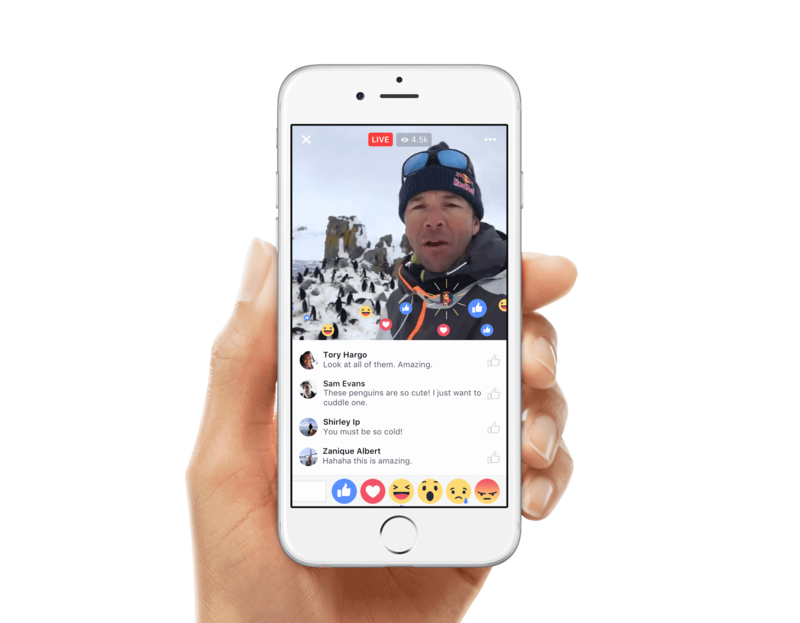 Facebook Live enables users to go live and stream their videos via a web browser. This feature enables a person to assign a particular individual to go live on their behalf provided the person is the admin of that facebook page. Earlier only facebook page admins could use facebook live. This was problematic if there is a large team of contributors because at first they have to become page admins and after that only they can start streaming video on the facebook page. But, now the live contributors can start streaming live whenever they find something interesting and would like to share. This means there is no need to give special facebook page admin privileges as before. Facebook has also added the feature to pin comment below the live broadcast. Pinning comments to live video streaming and also highlighting them has become a major attraction to the Facebook Live users. In this way, you can highlight comments for the viewers and make it look livelier. Facebook is also adding permalinks for the videos. There is a particular format for the video permalink which is like facebook.com/pagename/videos. If you are visiting the permalink, you will be able to see the live video if it is being broadcasted currently. Along with this, all the other live and non-live videos can also be viewed. It helps in easy accessibility for the user. This feature gives special privilege to public figures including celebrities, politicians, and others to gain access to some new metrics for live and uploaded videos. The video insights for profiles metrics will include the below-mentioned points. The live video which was streamed can now be published in multiple pages at once after the video streaming is complete. Earlier, uploaded videos could be cross posted only to pages that had different owners and same business managers.